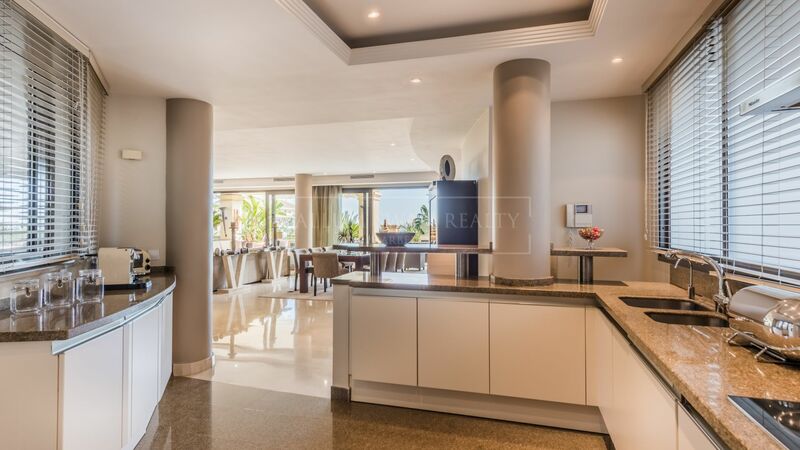 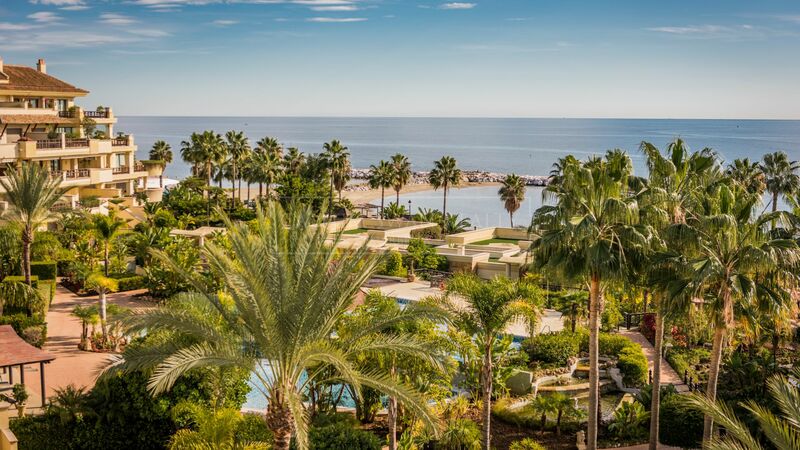 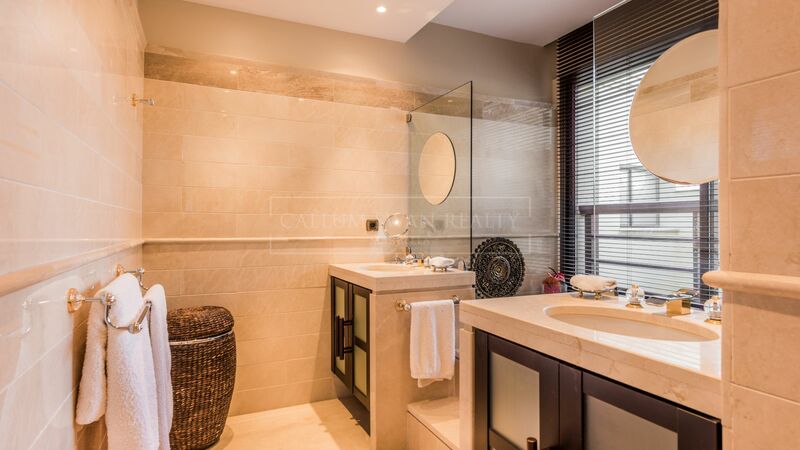 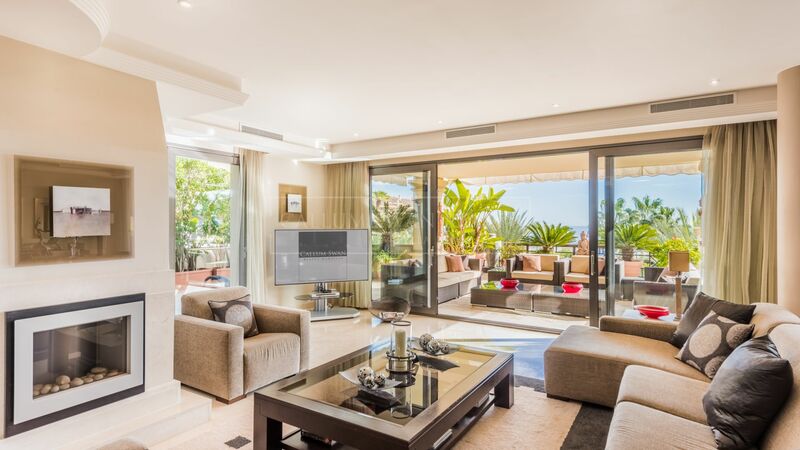 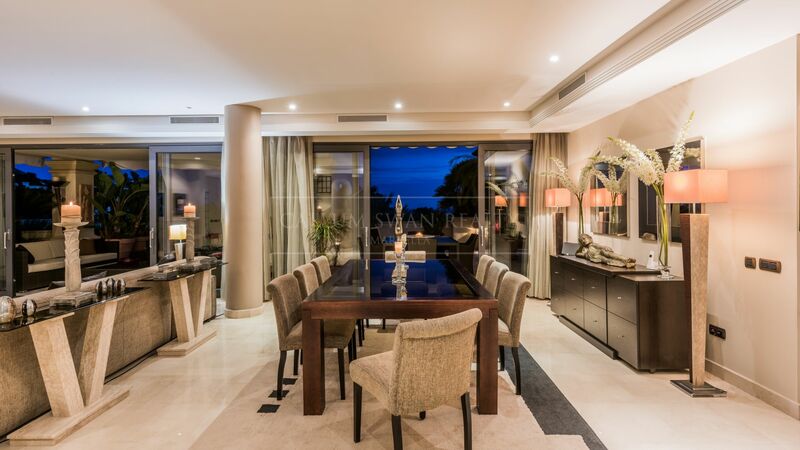 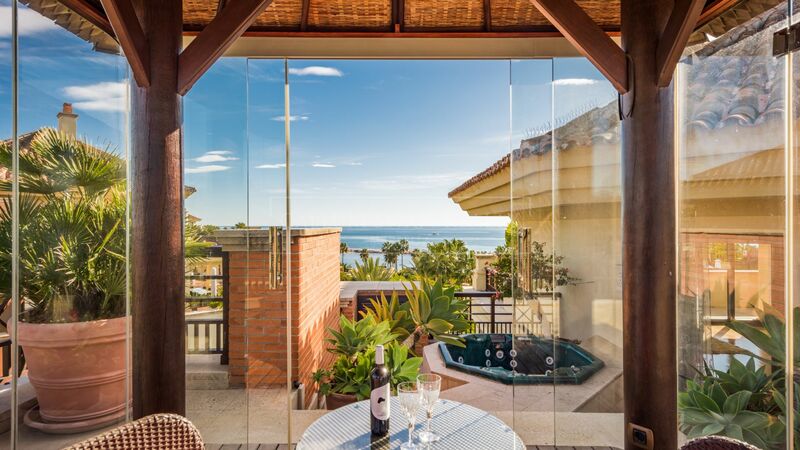 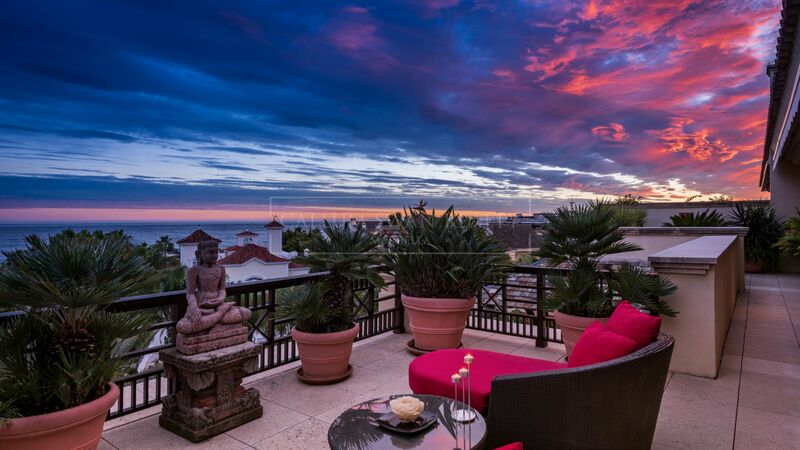 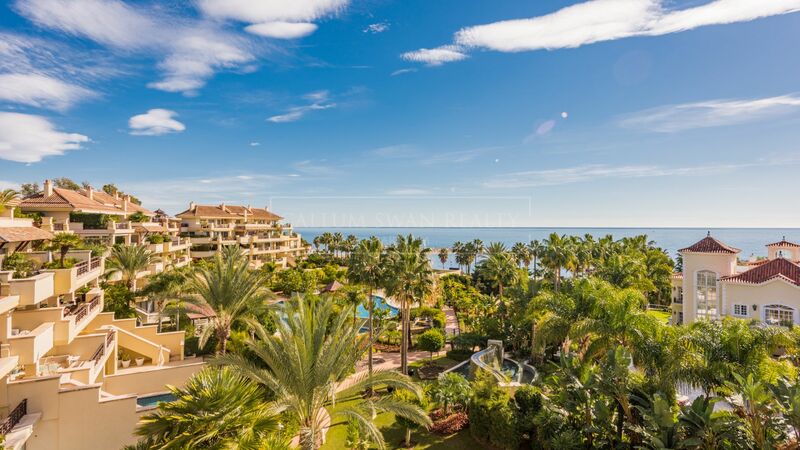 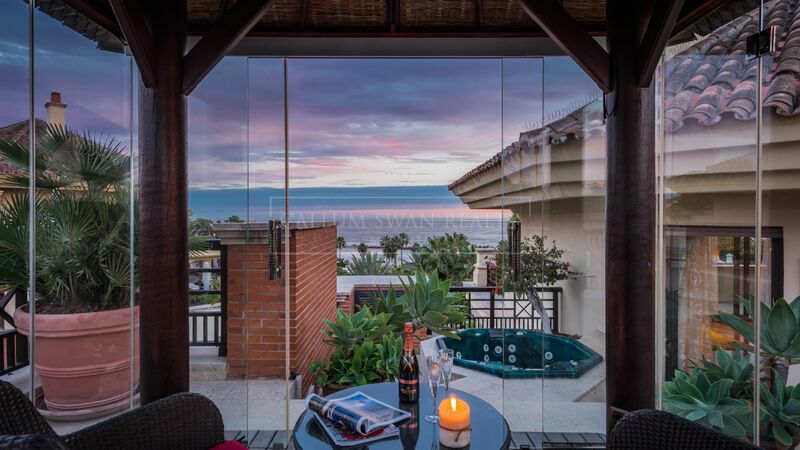 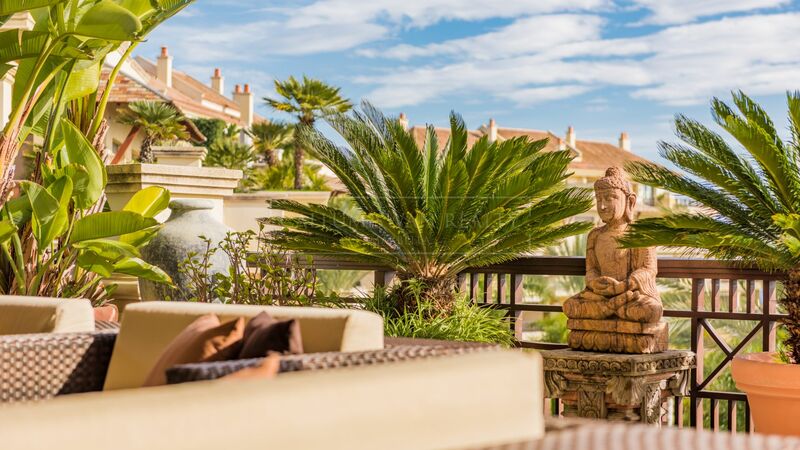 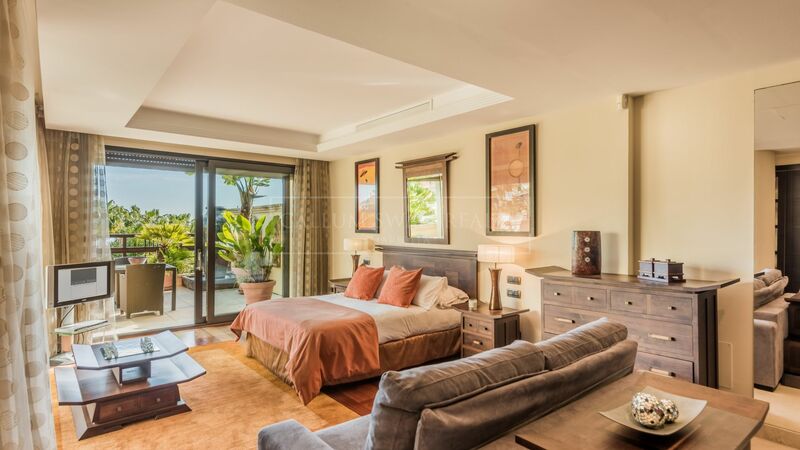 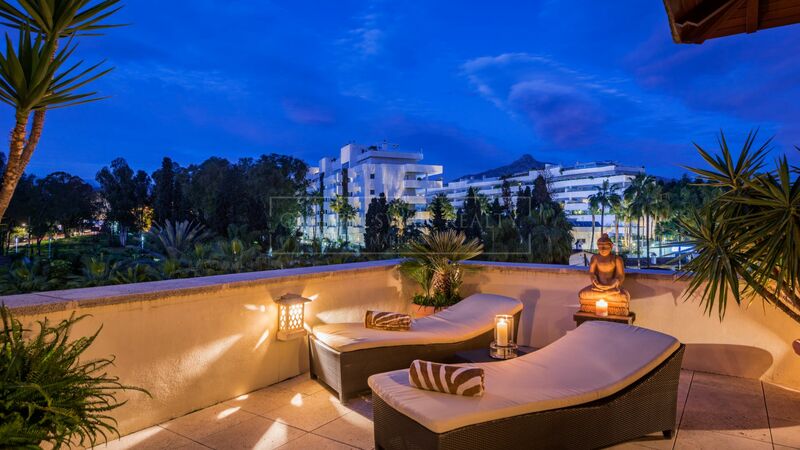 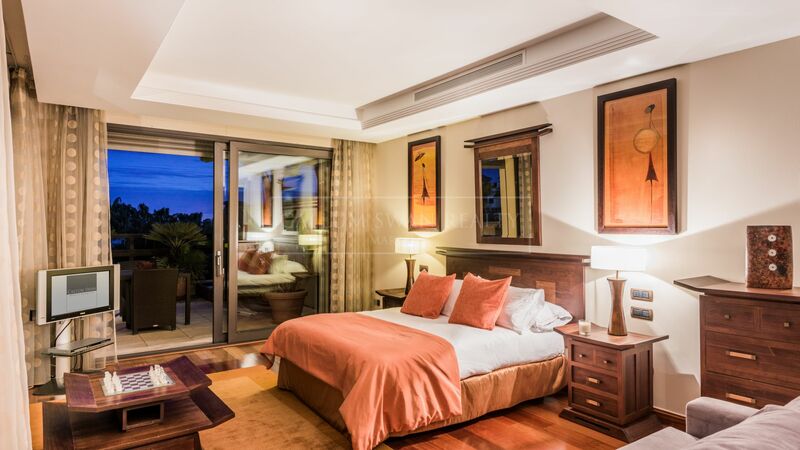 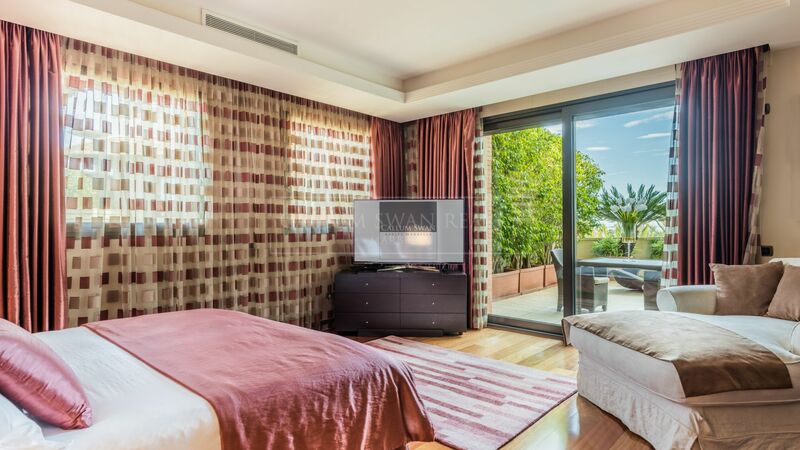 Frontline beach duplex penthouse in Laguna de Banus, with 3 luxury bedroom suites all with dressing areas. 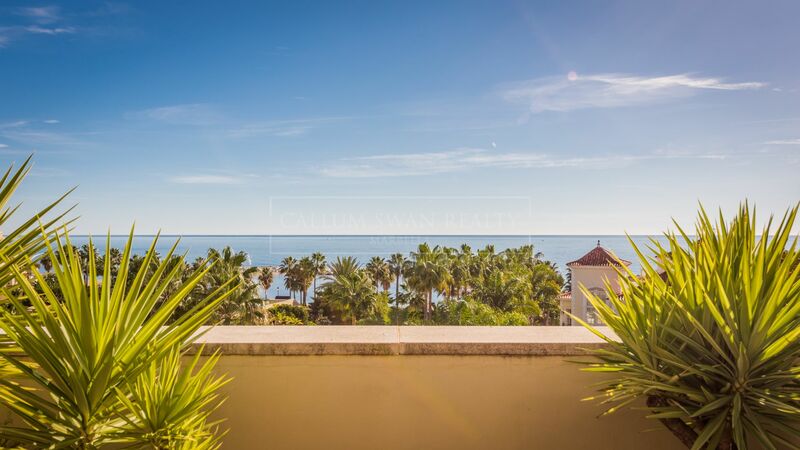 South facing with amazing frontal sea views from every room. 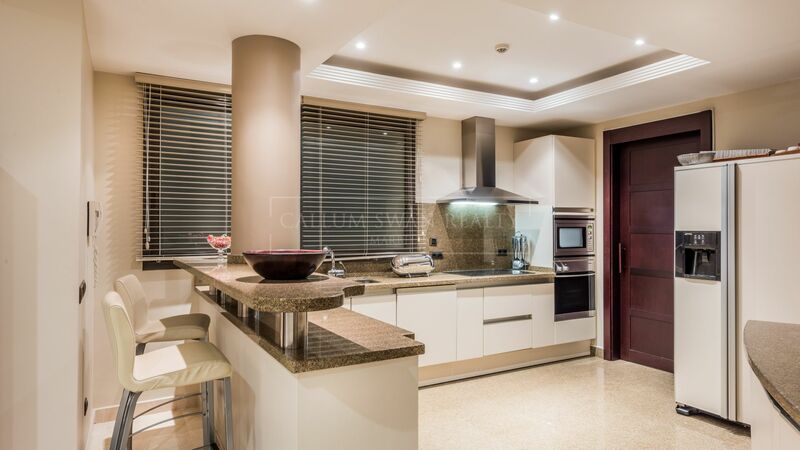 Modern fully fitted kitchen with breakfast bar, open plan living/dining room with working fireplace leading out onto the terraces. 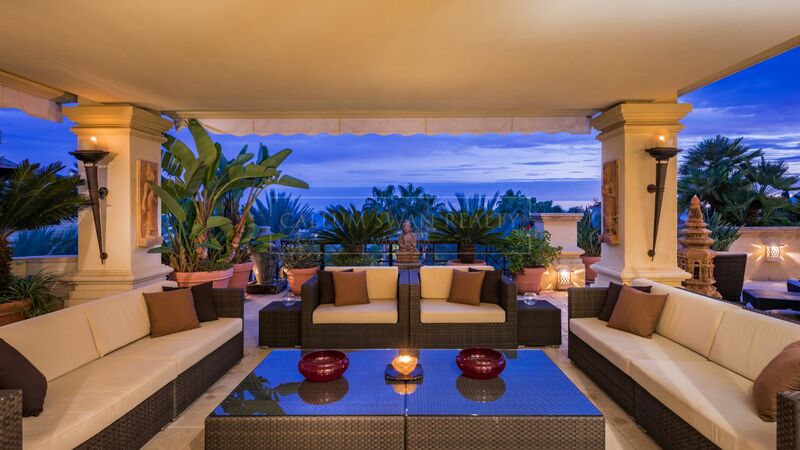 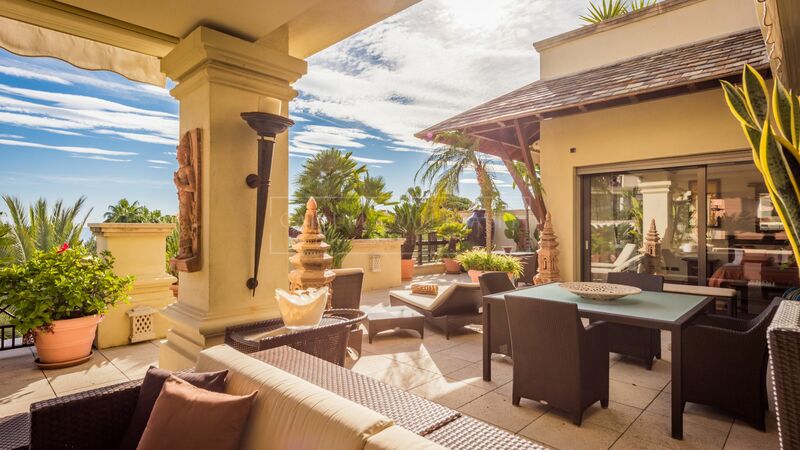 Large covered and uncovered terraces with private rooftop swimming pool and Jacuzzi. 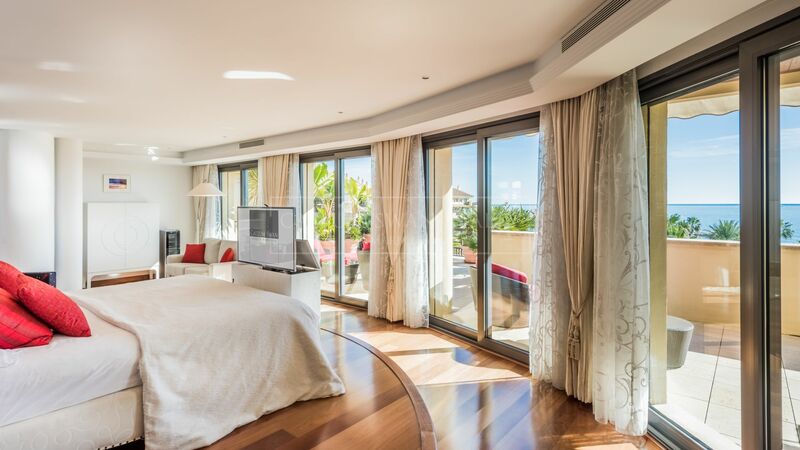 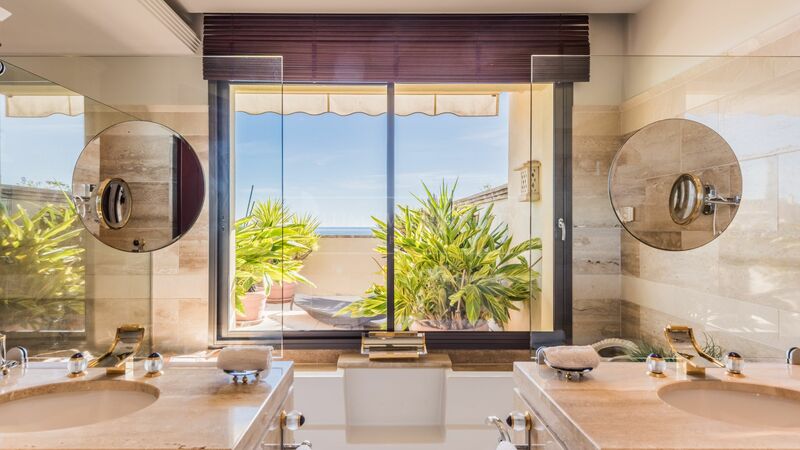 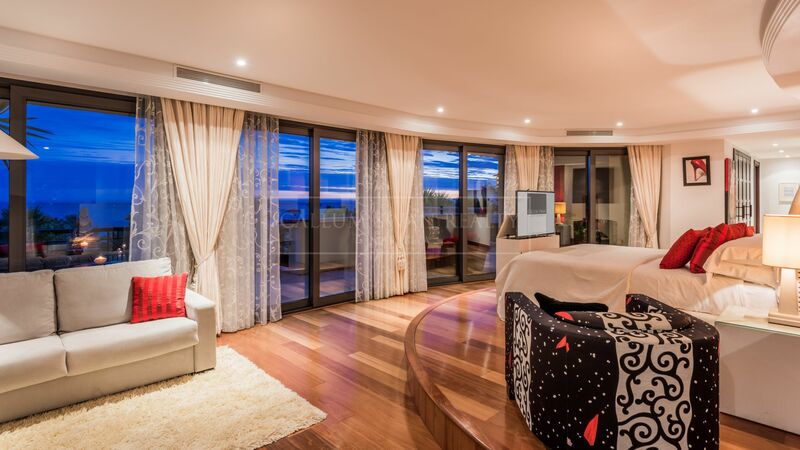 The master suite occupies the entire upper floor with open sea views. 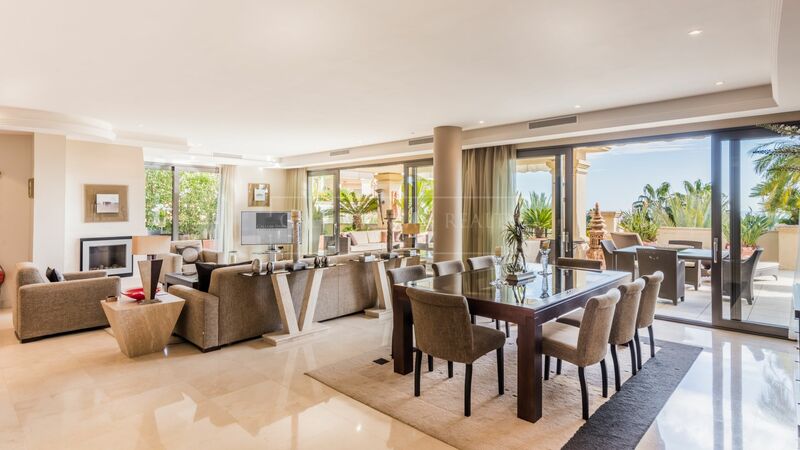 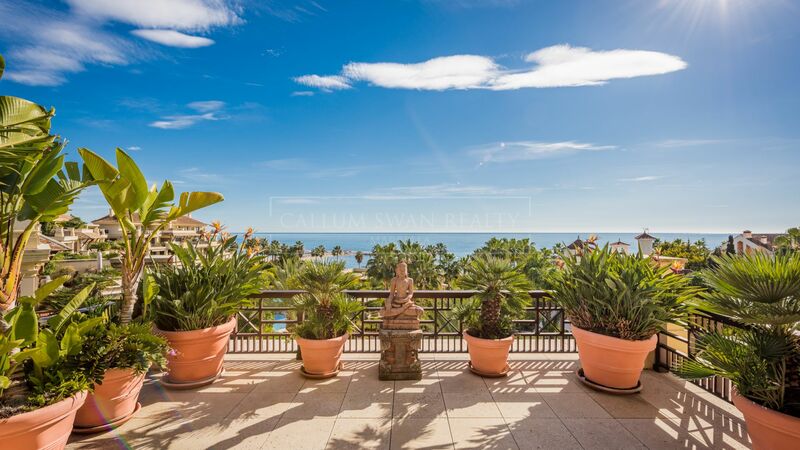 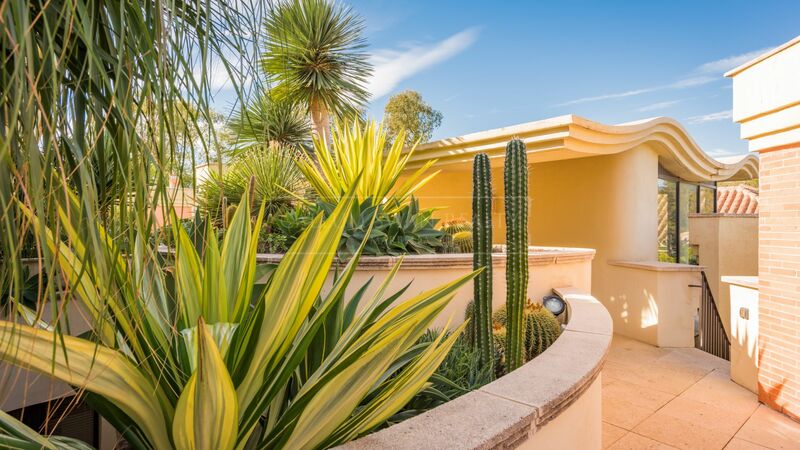 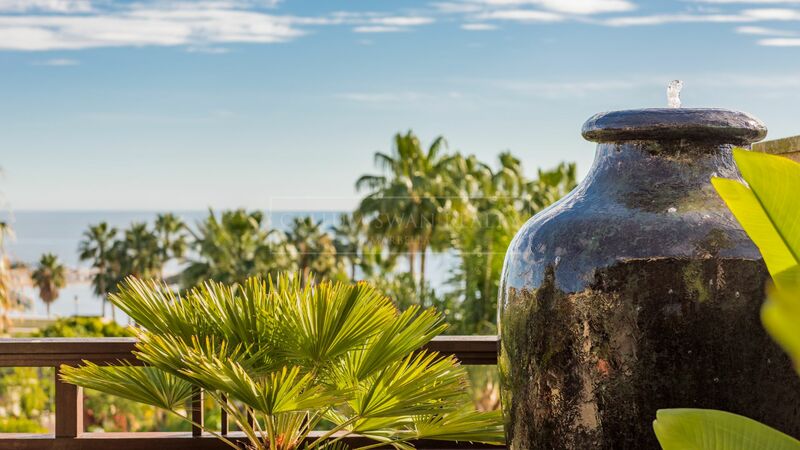 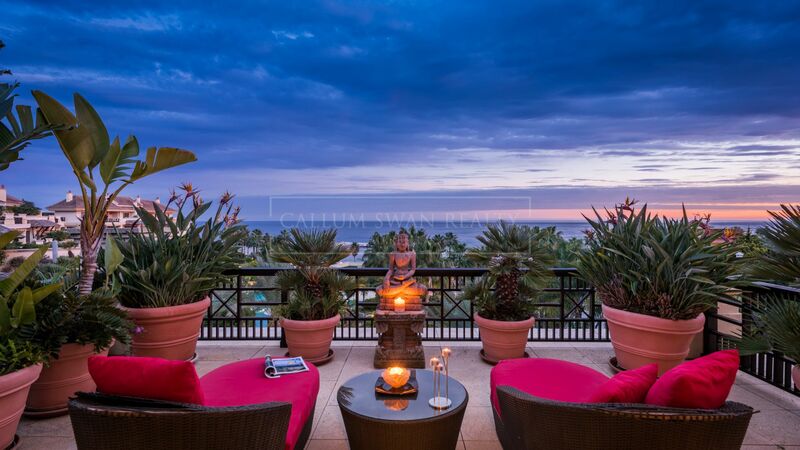 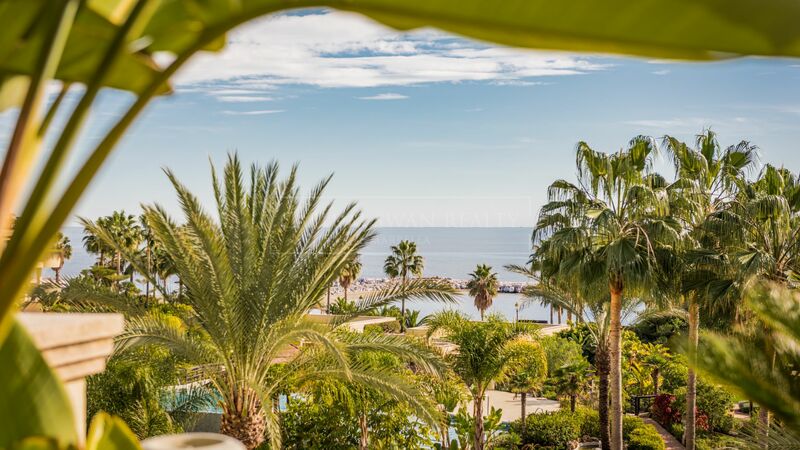 This unique penthouse is located within a gated and secure beach front community, with fantastic facilities such as gymnasium, heated indoor swimming pool, outdoor lagoon shape swimming pool and direct beach access, only a few minutes walk away from Puerto Banus, this property is truly spectacular. 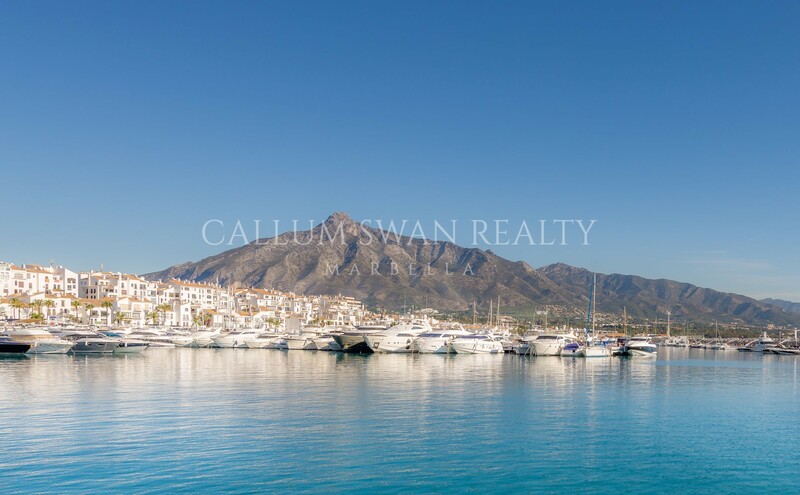 Please, send me more information about ref CSR00161, Duplex Penthouse in Laguna de Banus, Marbella - Puerto Banus or similar properties. 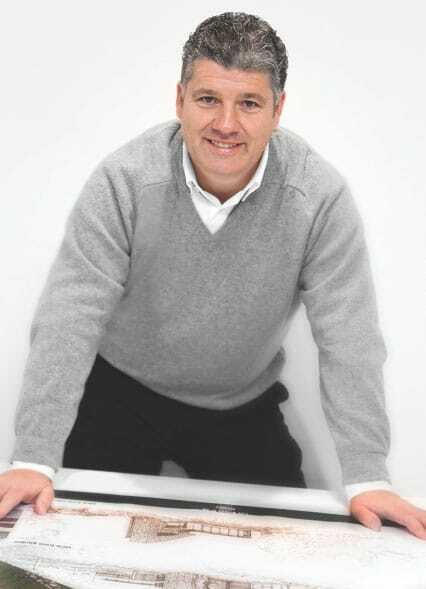 Thank you for taking the time to browse our website. 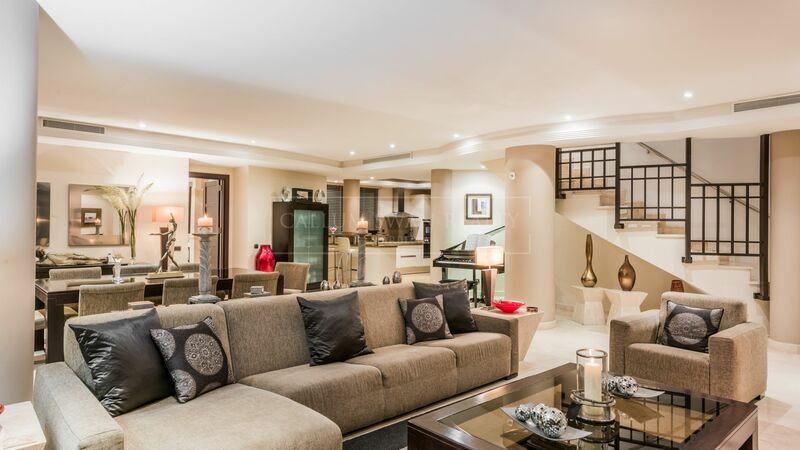 If you contact us, we will personally handle and oversee your enquiry, and assure you of discreet, professional service at all times.